World of Warcraft: Battle for Azeroth’s alpha has now moved into beta testing. Here’s everything we know about World of Warcraft: Battle for Azeroth. According to Wowhead, Blizzard have sent out the first batch of beta keys for Battle for Azeroth. The move into beta means any characters created in alpha have been wiped, but no further such wipes are planned. Beta level cap is 120. Alpha forums have been replaced with beta forums. CancelUnitBuff – no longer supports cancelling by spell name. You can check if you’ve been selected for beta testing through the Battle.net launcher, but if you haven’t got in yet, don’t despair – more keys are still due to be sent out. To be eligible to receive a key, you’ll need to opt in to the beta. To do so, go to your Blizzard account settings, select ‘games & codes’, and hit ‘beta profile settings’. There you can select which beta tests you are interested in. 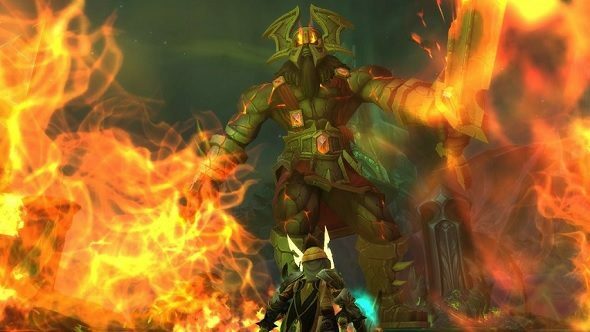 Battle for Azeroth is due for release on August 14.